This course provides a basic understanding of collection operations to support organizational missions, decision-making, and posturing organizations to discover and defend against cyber security threats. Emphasis is placed on collection methodologies, information sharing, collaboration, and tailoring of intelligence products. The course consists of presentations, exercises, and virtual network activities. 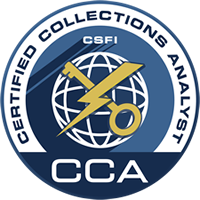 At the conclusion of the course you will have a fundamental understanding of how to conduct collection operations, enable collections to support cyber security efforts, and use collection activities to support decision making within organizational tiers.